Kent Ridge is a park in Singapore West area, between the National University of Singapore and Singapore Science Park. 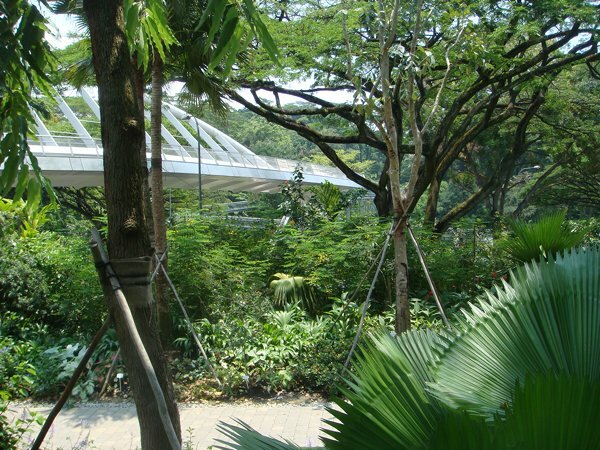 The area occupied by Kent Ridge Park was formerly known as Pasir Panjang Ridge, and was originally a lowland evergreen rainforest. When the first settlers arrived in Singapore in the early 19th century, they grew crops such as rubber, pepper, gambier and pineapple on the ridge. 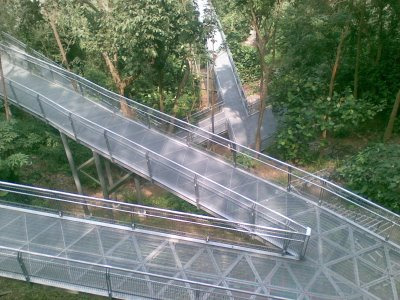 The Kent Ridge Park is linked via a Canopy (treetop) walk to the recently inauguratedHort Park, designed as a recreational and educational gardening centre. 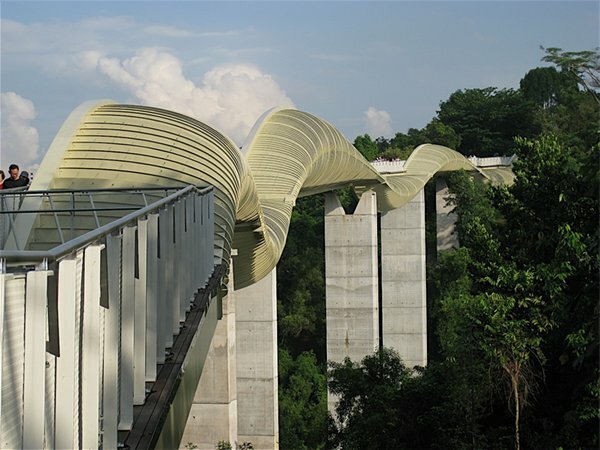 Going further, a long (2km) treetop walk brings you to a futuristic bridge over Henderson road, the Henderson waves. And still going further, you soon reach the Mount Faber, Singapore highest point. 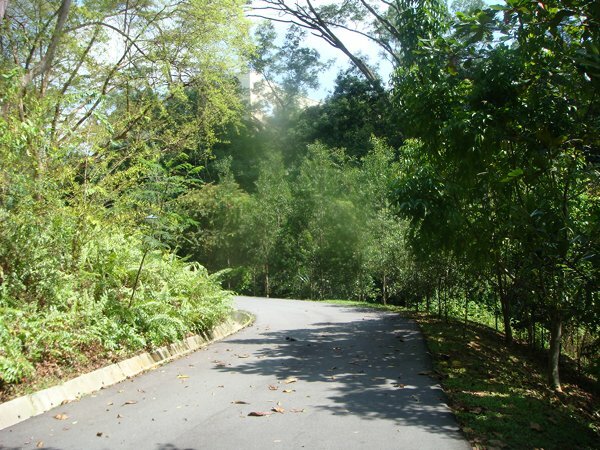 You can access Kent Ridge via the Vigilante drive, where there are two small parking lots. Another possibility is to start from the end of Science Park drive. The Hort Park is close to Alexandra road, and also has a parking lot. The track can be run at any time, though the Hort Park is closing at some time. I used the track later then 8pm and it was still open. The tree top walk is well-lit during the night. Avoid busy tourist-visiting hours, since especially the Canopy and treetop walks are narrow and can be crowded. The bus 92/92B goes to Science Park. 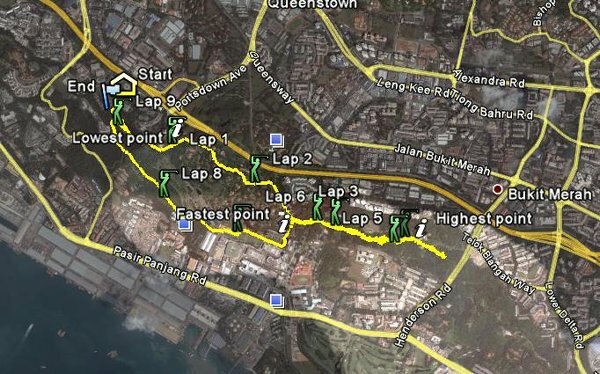 The track: Starting and finishing at Kent Ridge, it is nearly 10km, that can easily be extended. Start at Kent Ridge, near 18 Science Park Drive. Pass the pond and once reaching the Normanton Condo, follow a narrow path along the fence. When the path ends, climb right to the Winchester road, then Russels and York roads till you hit Alexandra road. Run parallel to Alexandra on the Bury road till you reach Alexandra bridge. Cross the bridge and run up the treetop walk. Follow the road signs to the very top, the Henderson waves. Here you turn back until you reach Alexandra bridge again. Cross it back and enter the Hort Park to your left. Cross it entirely and enter Kent Ridge. Climb up to the Canopy walk, pass the Tank monument and run the track to the very end, until you reach the pond and the starting point again. The patch is quite challenging, especially there are two long climbs to Henderson waves and on the way back to Kent Ridge Park. Water point: There is one in the Hort park. 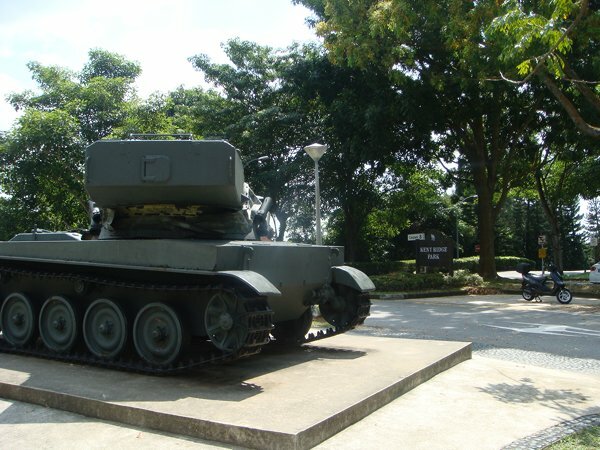 Good to know: Some history : during the Second World War, a hill in the park was the site of one of the last and fiercest battles fought by the Malay Regiment against the invading Japanese army, the Battle of Bukit Chandu (also known as the Battle of Pasir Panjang), 12–14 February 1942. 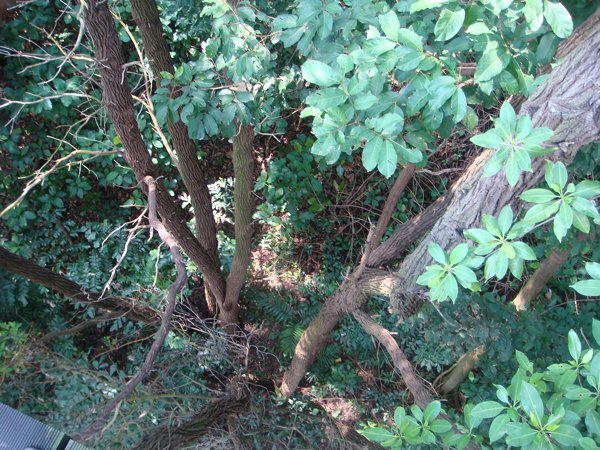 The former battle place can be seen from the Canopy walk. Google Maps: Kent Ridge Park on Google Maps. I have been looking for a running path that connects Kent Ridge Park to Winchester loop. Did you exactly enter the gate at Normanton Park and exit on the other side (another gate?) to Winchester? I thought the gate is not accessible to outsiders...? thanks.